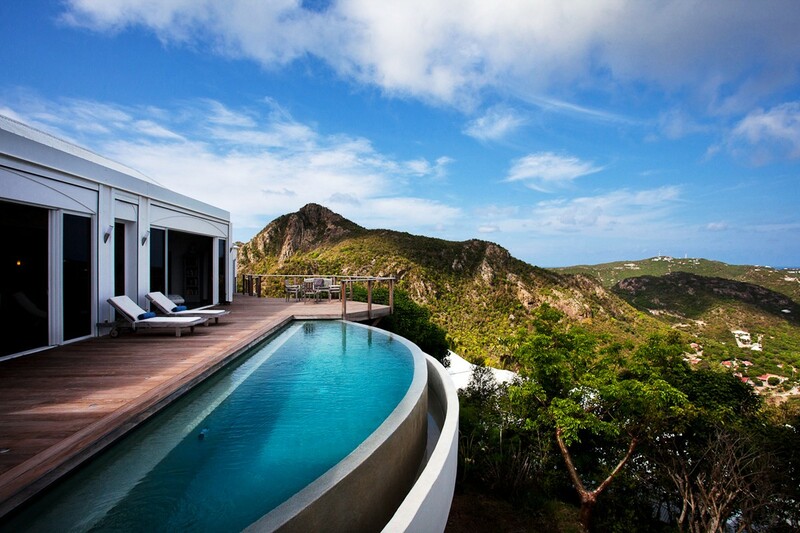 Villa Axis St Barts. 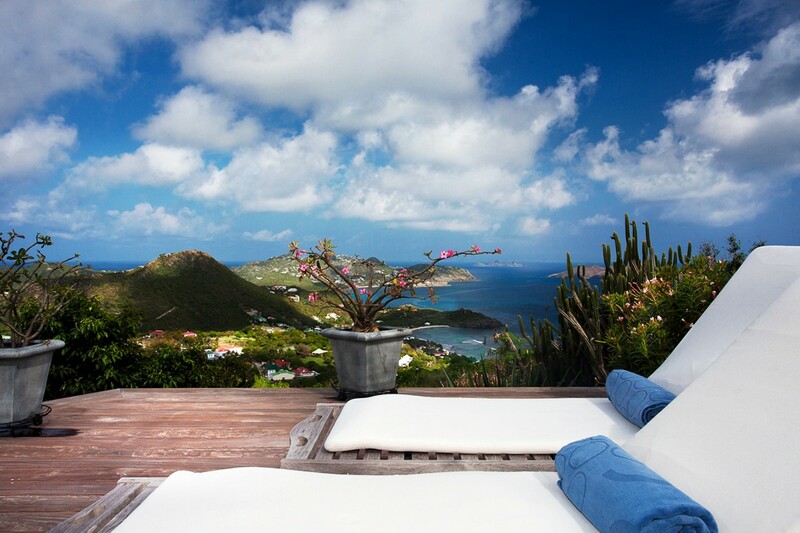 Imagine being at the top of the world, or at least at the top of Petite Saline in St. Barts. 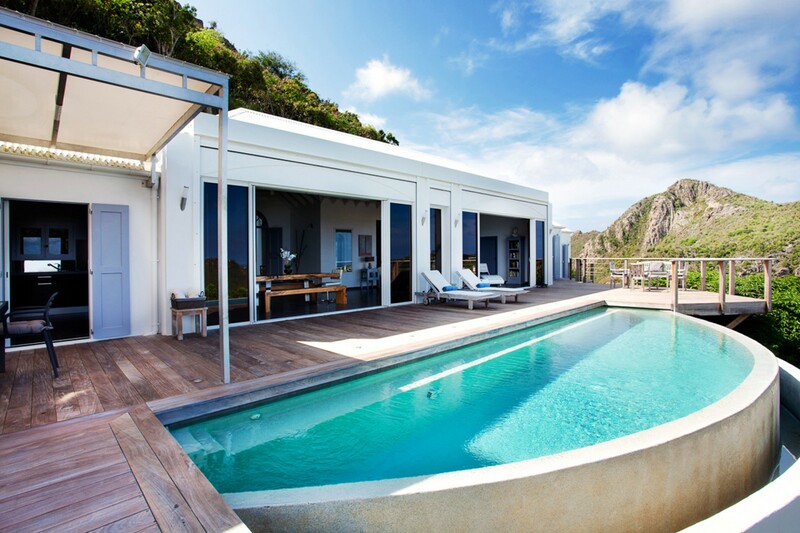 You can be when you book a stay at the lovely Villa Axis on St Barts, regarded to have one of the best views on the island. 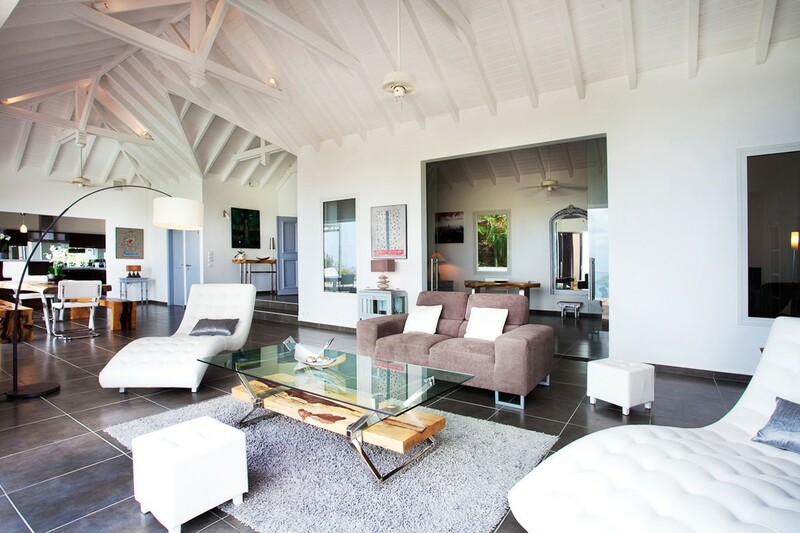 Recently renovated, this stylish villa boasts three luxurious bedrooms and a host of the finest amenities imaginable. 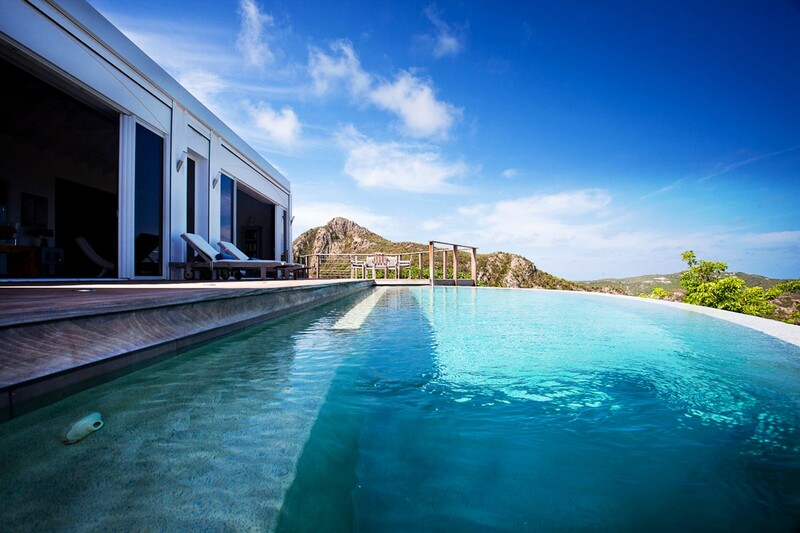 Like many villas, the Villa Axis offers its guests a swimming pool, but unlike any others, this one has an infinity edge pool that looks out over that unbelievably breathtaking view. 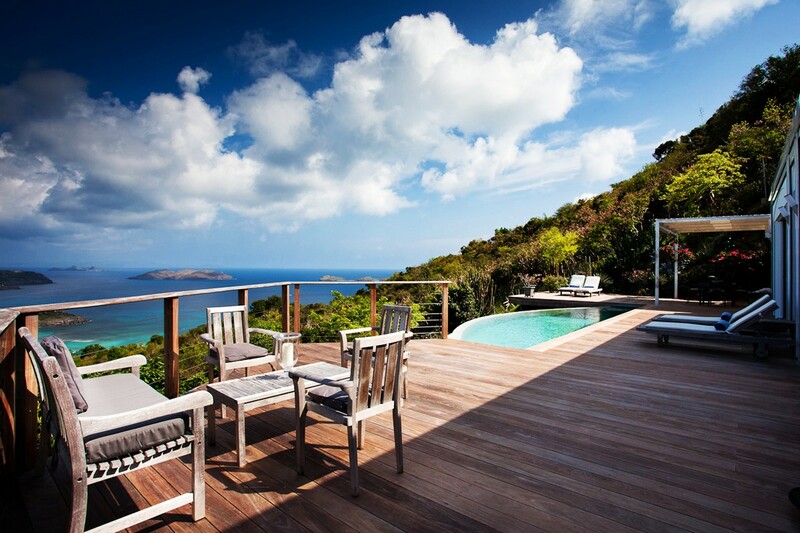 The bay, the rolling hills, and islands in the distance can be your view as you swim, soak up the sun, or raise your glass to the sunset. 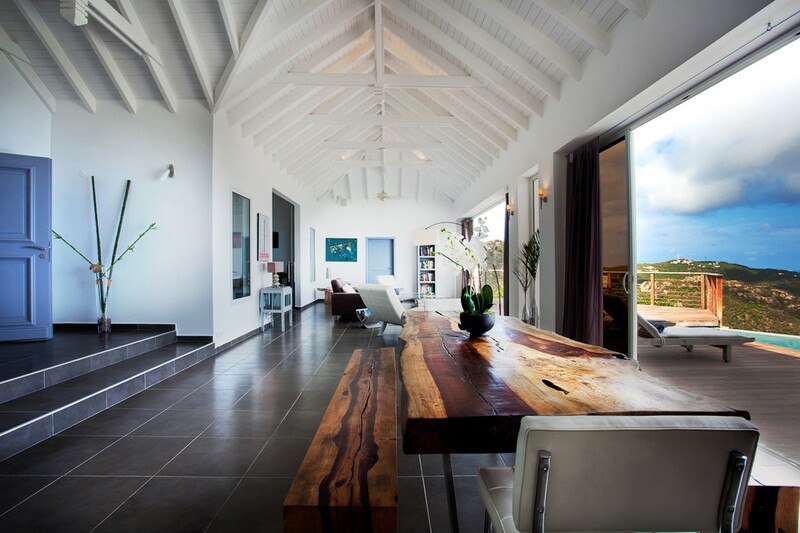 The Villa Axis relies upon an open floor plan to provide guests with uninterrupted enjoyment of that amazing view, the sea breezes, and the gorgeous sunlight. 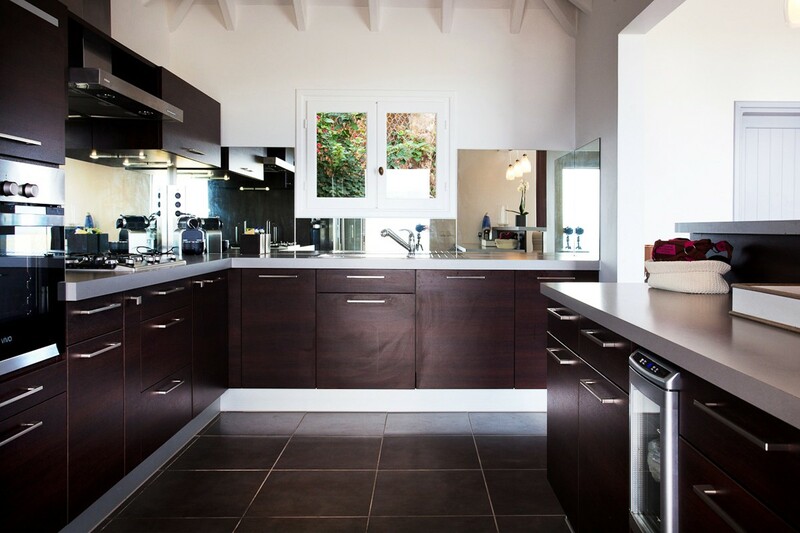 Massive glass doors make for open walls, and this makes meal preparation in the gourmet kitchen a treat. 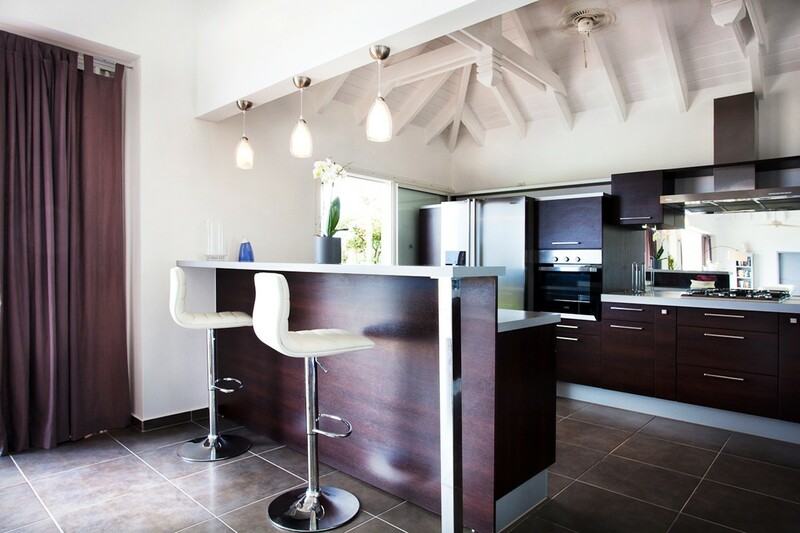 The breakfast bar transitions into the formal dining space, and this leads out to the terrace lounge area. 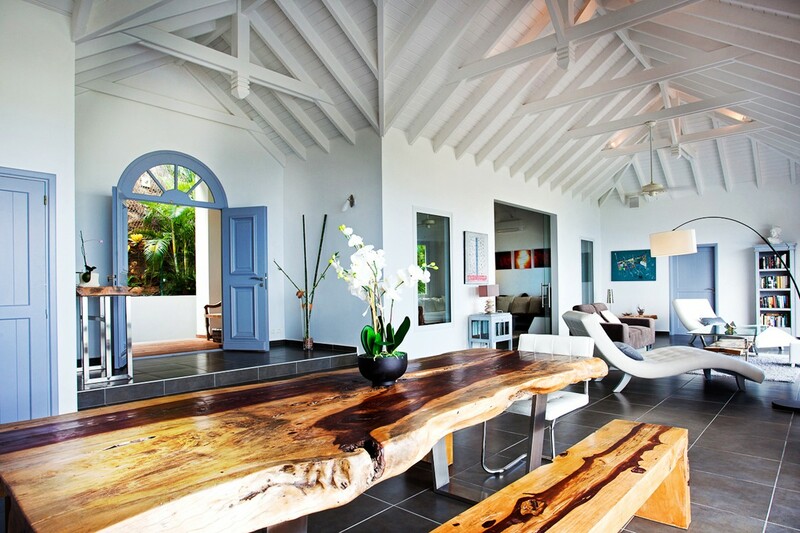 There is also an al fresco dining area beneath a pergola. 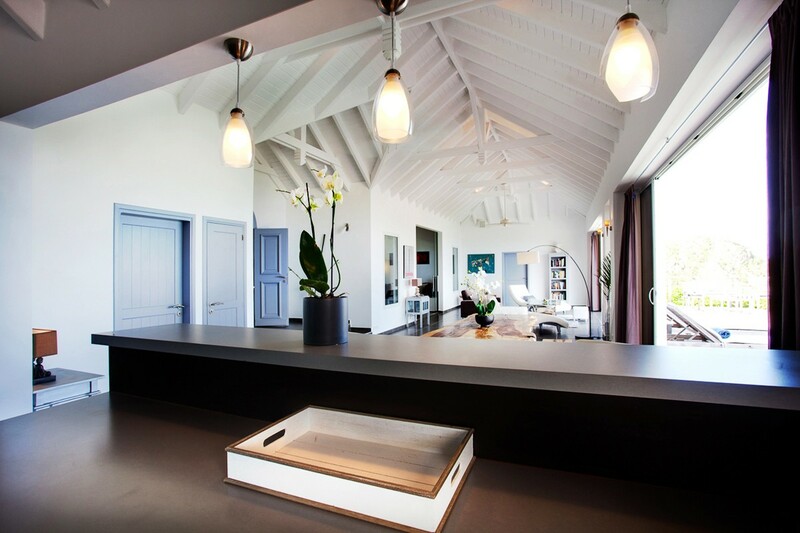 Just off the formal dining space is a living room that leads to an air conditioned TV room at the back of the villa. 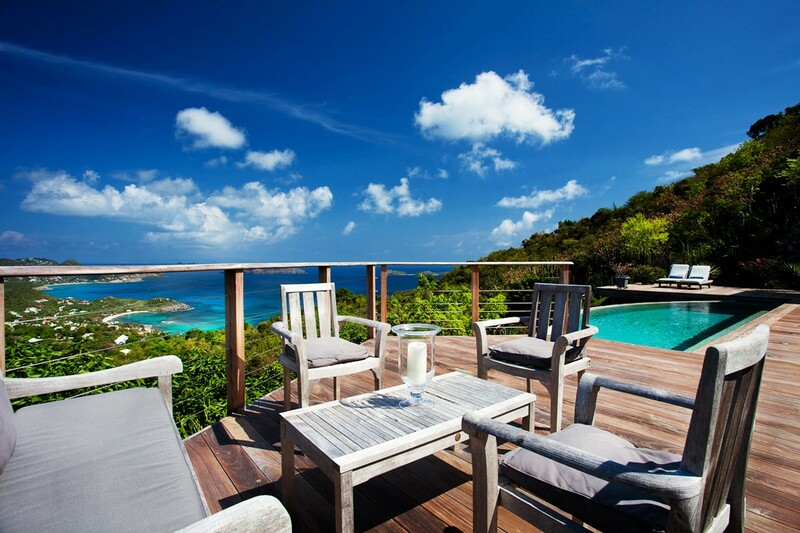 The bedrooms all open directly to the terrace but maintain privacy by being located at a distance from one another. 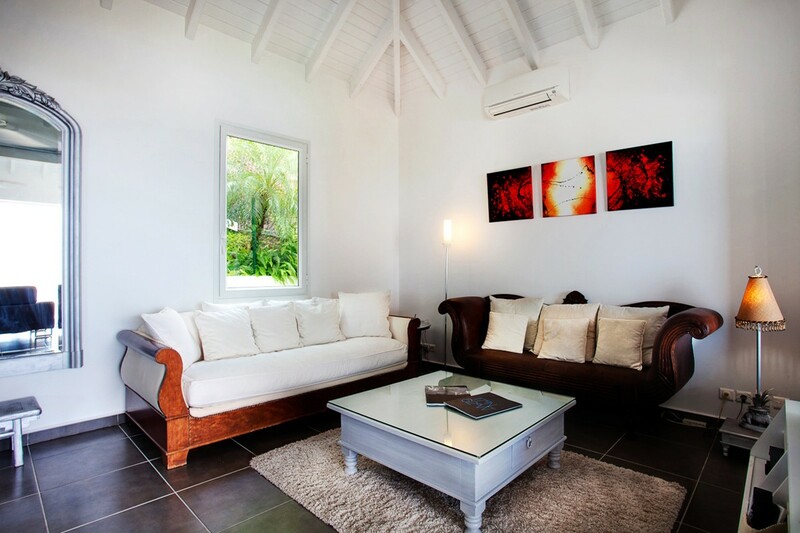 Two bedrooms are located on the main level and the third bedroom is located on the lower level. 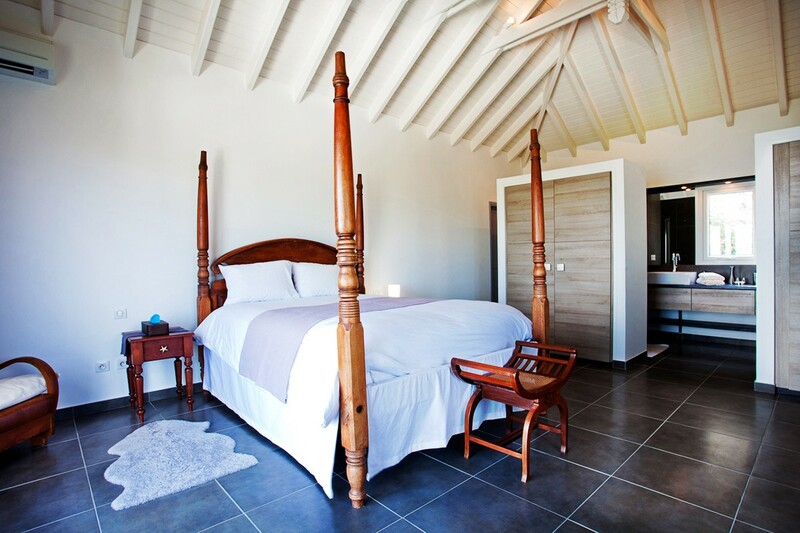 The main bedrooms all have large and luxury bedding, en suite bathrooms. 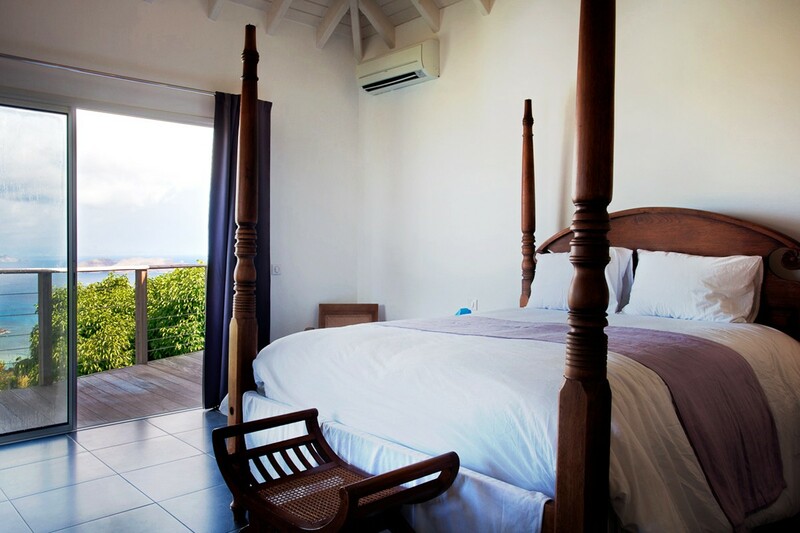 The thired bedroom features a queen bed and a single bed, well suited for a nanny or children's room. 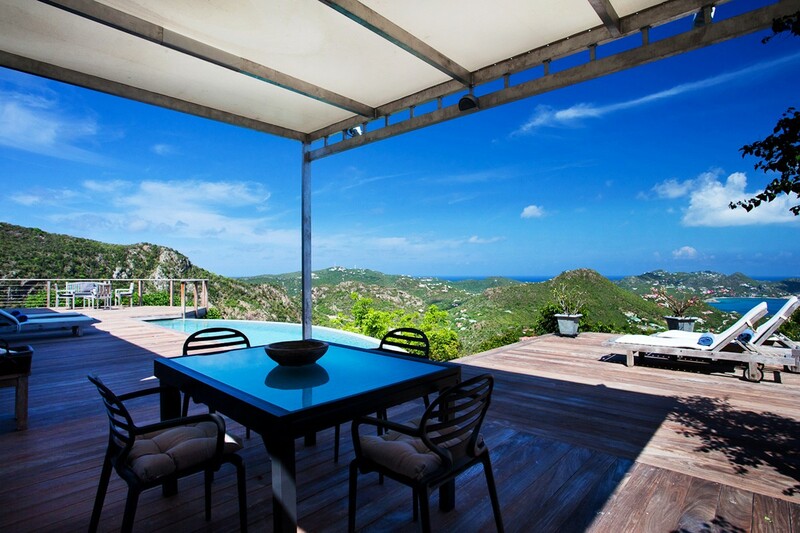 If you want the most impressive view imaginable when visiting St. Barts, the Villa Axis is your choice location. 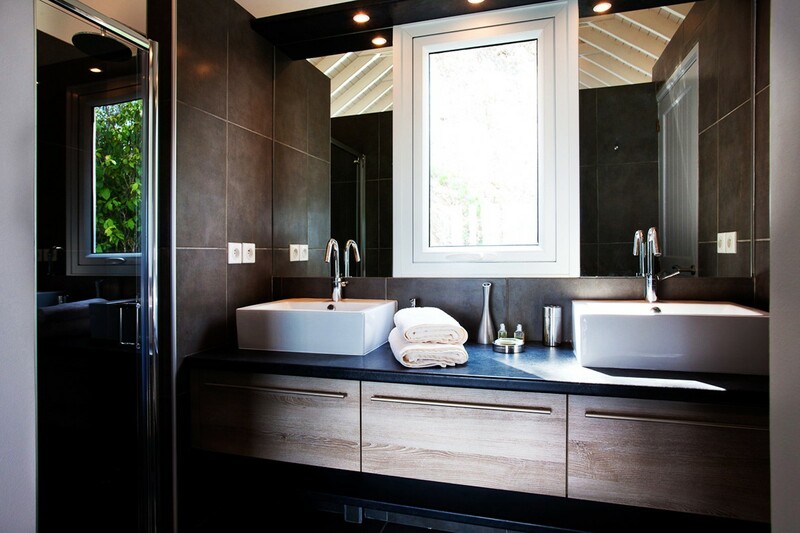 However, if you also want the full menu of top quality amenities, along with a relaxing and welcoming space, it remains a top choice. 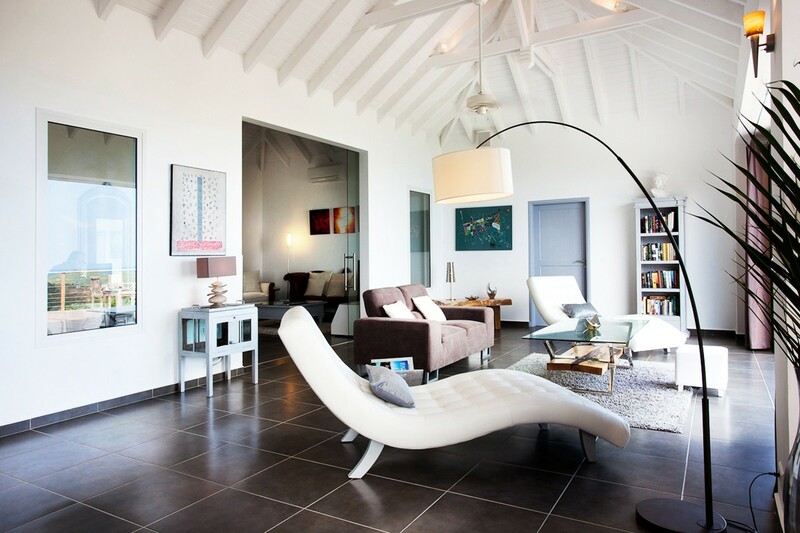 Ideal for a family or a group of friends, this villa provides an extraordinary experience. 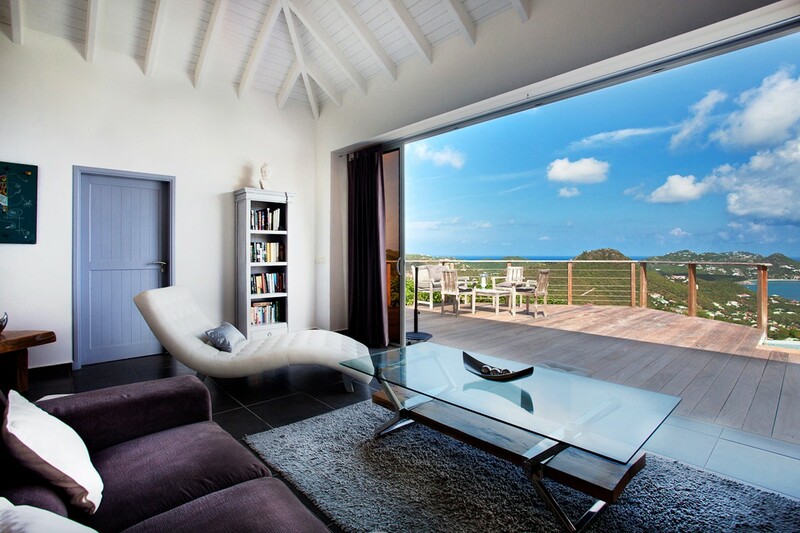 Bedroom 1: Opens onto terrace w/ ocean view. King size bed, A/C, ceiling fan, dressing, safe, ensuite bathroom w/ double vanity & walk-in shower. Connects to living room. 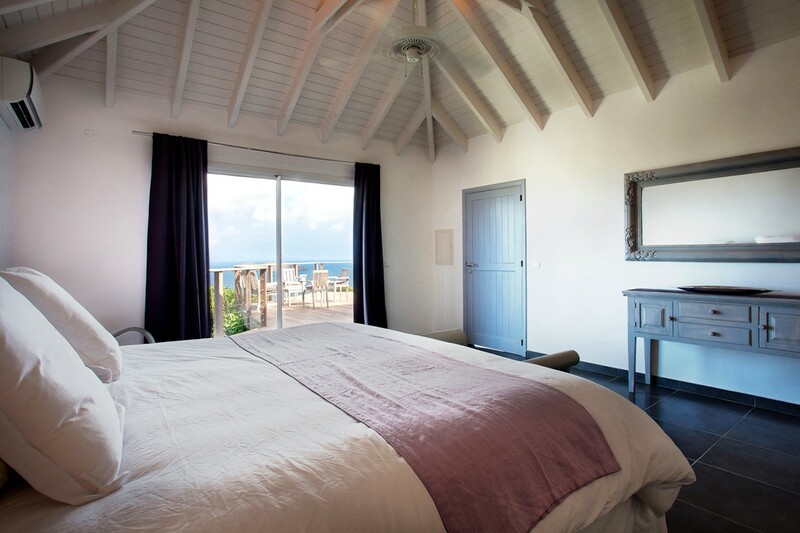 Bedroom 2: Opens onto terrace w/ ocean view. Queen size bed, A/C, ceiling fan, dressing, safe, ensuite bathroom w/ double vanity & walk-in shower. 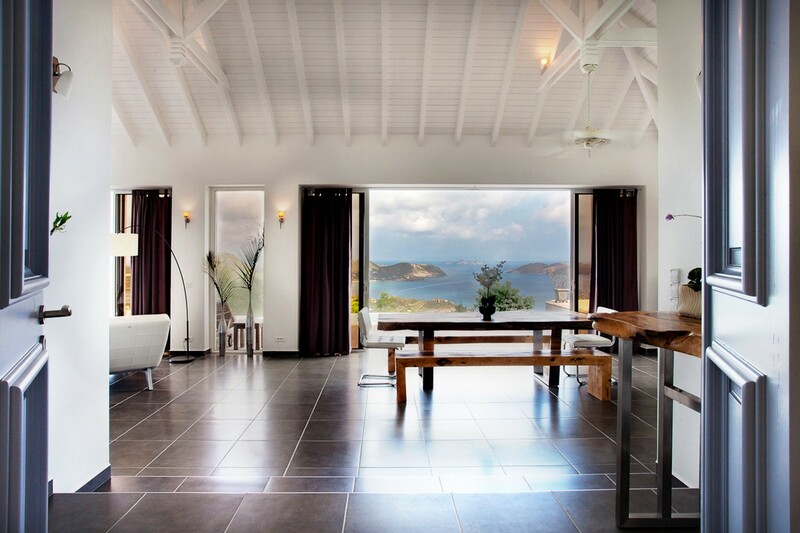 Independent from the main villa. Separate entrance. 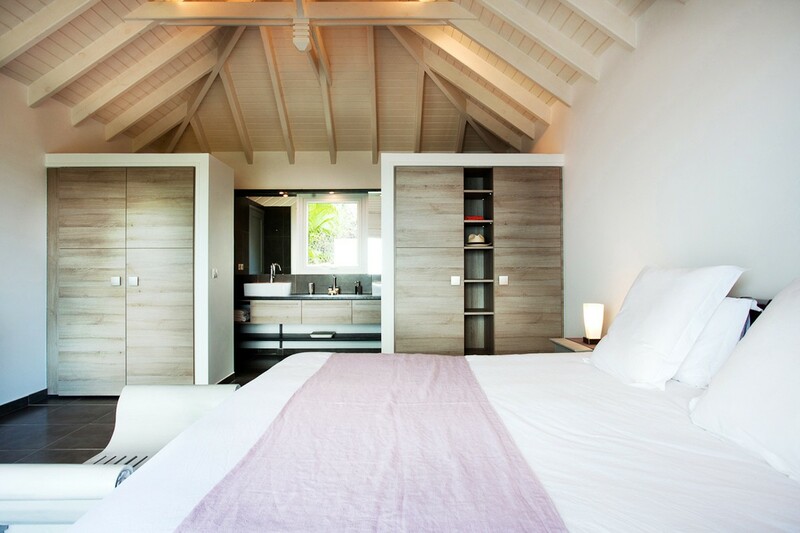 Bedroom 3: Opens onto terrace. 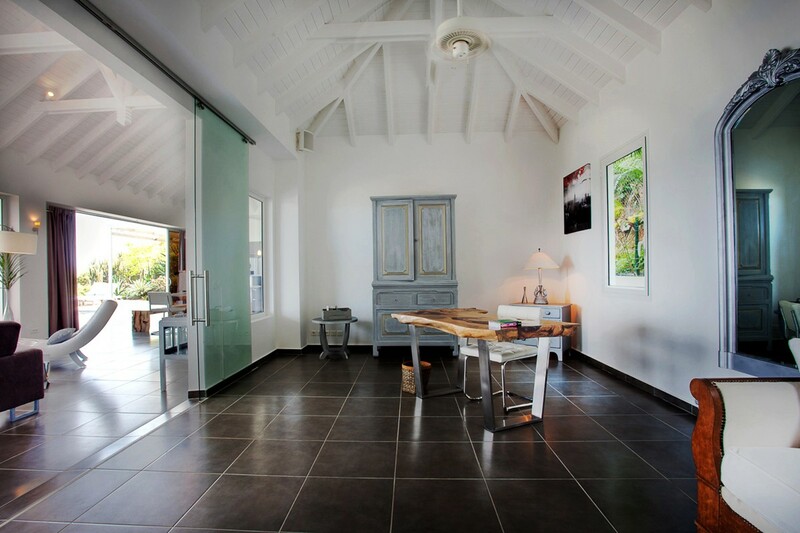 They are 2 beds of 1,40 and 0,90, ceiling fan, dressing, ensuite bathroom w/ single vanity 1 walk-in shower. We just returned from Villa Axis where we celebrated our 25th wedding anniversary. 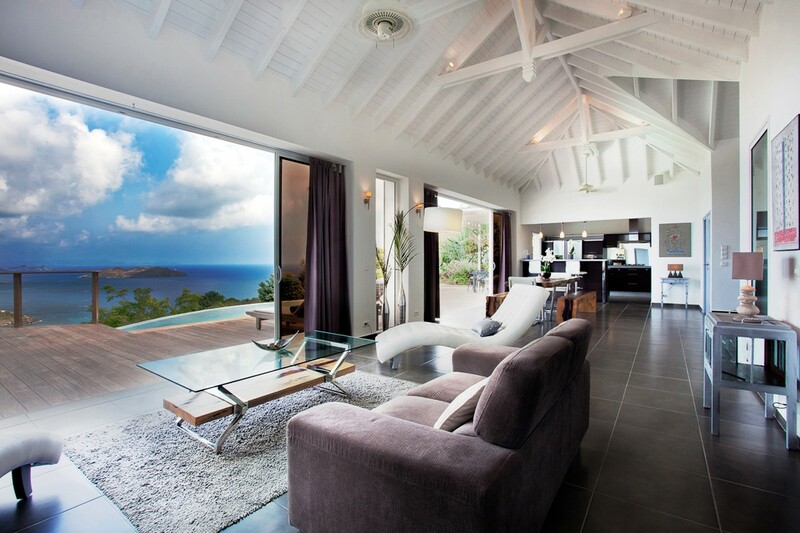 the villa, and especially the incredible view, are even better than the photos convey. 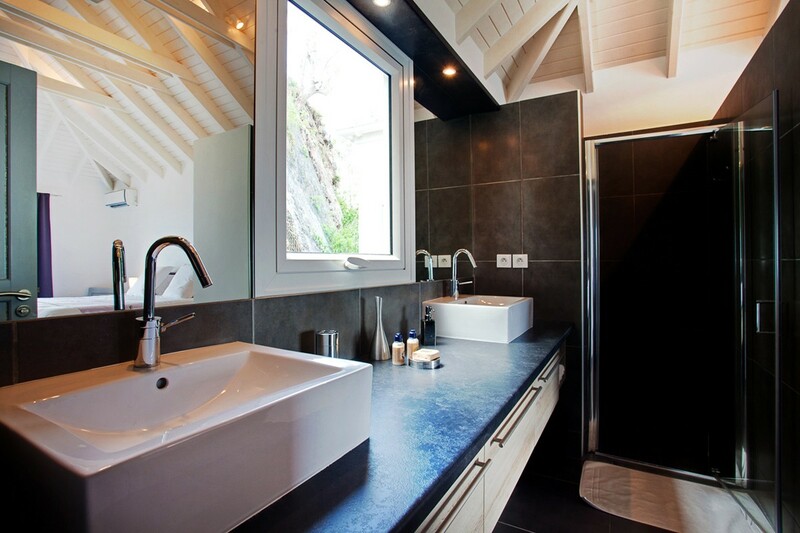 We wanted total privacy and were not disappointed! We spent days on the rafts we brought floating in the small pool. 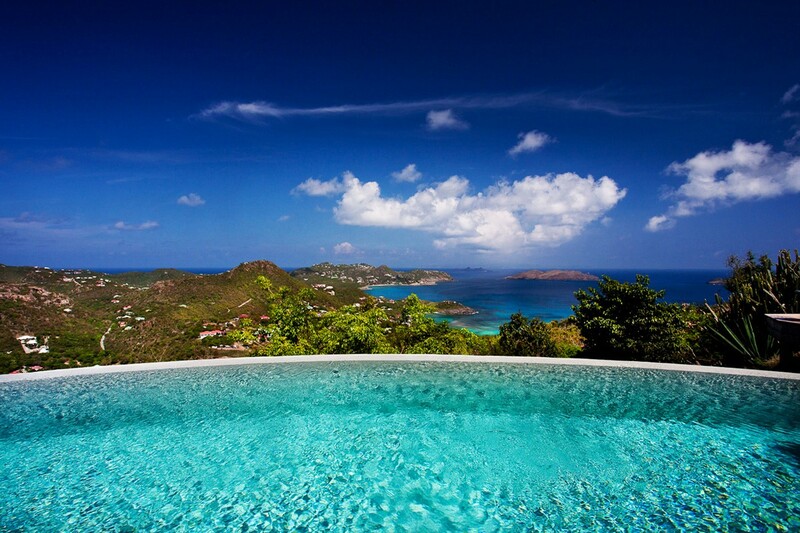 The view from Axis is truly better than any view we saw from anywhere on the island. There is AC in the bedroom and a sitting room but not the main room, but with the wide sliding doors open, we had a lovely breeze. Watching sunsets from Axis is an incredible treat we hadn't thought about. Sure wish our week hadn't come to an end, Amazing is all I can say about Axis. 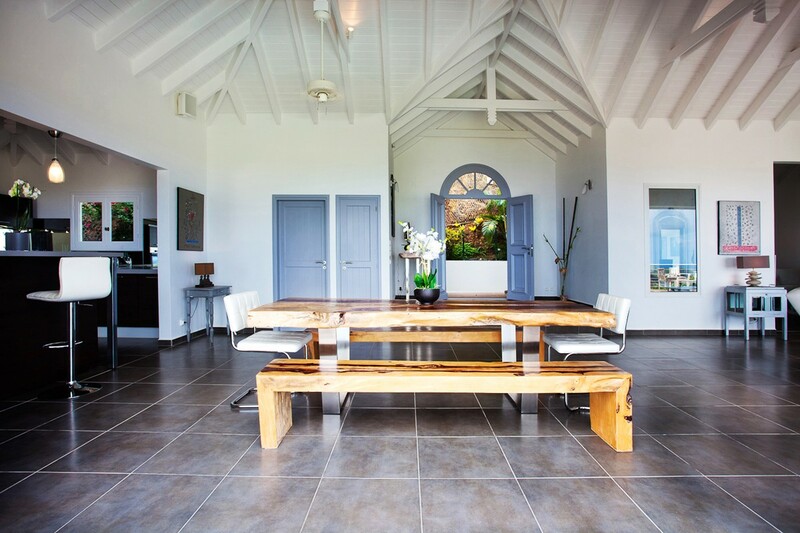 "St Barts Blue provided excellent service "